The 10 Best Milkshakes in Wisconsin! As America’s Dairyland, we can’t think of a better place to grab a milkshake! 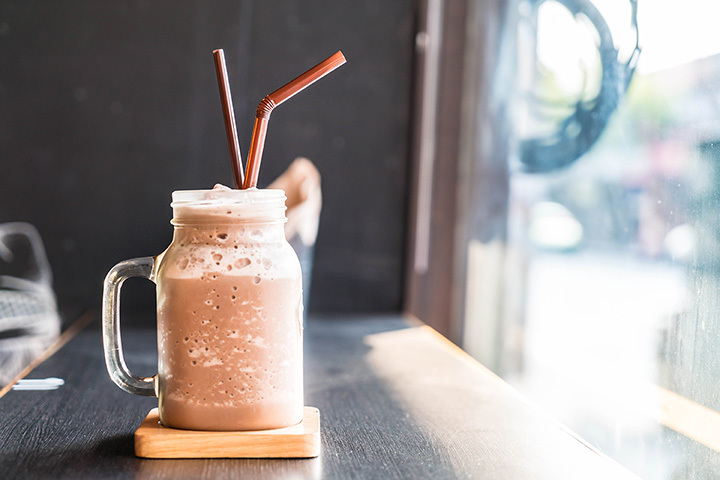 In Wisconsin, you’ll find an excellent selection of old-school shops and modern spaces serving up some of the most delicious milkshakes around. The perfect dessert to top off a meal. Enjoy an outstanding milkshake at these 10 spots in Wisconsin. Culver’s is always a given when it comes to anything and everything cold and sweet. Culver’s restaurants were launched right here in Wisconsin, particularly in Sauk City. If you are traditional, they have your classic chocolate and vanilla flavors. If you’re looking to spice things up, try their raspberry, strawberry, mint, or mint chip. Leon’s is an icon and has been a Milwaukee landmark since opening in 1942. While they are home to some of the best frozen custard, they also have some of the greatest milkshakes in the state. Flavors range from strawberry and chocolate, to caramel and butterscotch. Let’s get down to the nitty gritty of it all, but for real—head to the Nitty for their milkshakes. While traditionally they are known for their great pub food, they have a tasty selection of shakes. To one up you, they even do specialty alcoholic ice cream drinks. The milkshake has officially been taken to the next level at the Nitty. You are going to love the atmosphere that is spilling out of the Nite Owl. Be sure to get their early enough because when they sell out, they close up shop. This old-school drive-in’s milkshakes will make you a frequent customer of the Nite Owl. Kopp’s is a Wisconsin-loved fast food and ice cream company. Everything from burgers to their famous frozen custard are among the favorites. If you are looking for a really good milkshake—Kopp’s has got you covered! There are tons of flavors to choose from along with the ability to choose a regular or a thick shake! La Michoacana has two area Madison locations. They focus on bringing Madison the freshest fruit from Mexico to your cup. Enjoy the most refreshing milkshakes from La Michoacana! Ardy & Ed’s Drive In, in Oshkosh is your go-to for milkshakes this summer. Enjoy a blast from the past coming at you on roller blades from their unique and authentic 1950s-style restaurant. Milkshakes and malts are made with real malted milk powder. Unconventional flavors are root beer, butterscotch, caramel and hot fudge! Frostie Freeze is a southeast Wisconsin favorite. Open only in the spring/summer months, Frostie Freeze brings you the best of the best. Browse their milk shake section, order up, and take a seat on the benches outside. It’s the perfect way to cool down on a hot summer day. You may be wondering why your favorite burger bar is on our milkshakes article. If you haven’t tried their milkshakes you need to order one now! The chilled, creamy shakes are to die for. Try a classic milkshake or ask about their alcoholic shakes to get your night started! The Classic Garage is the perfect place to stop by for a tasty milkshake this summer. You’ll love their retro themed restaurant. But you’ll really love slurping down their tasty milkshakes. Try the classic vanilla, chocolate, and strawberry flavors.